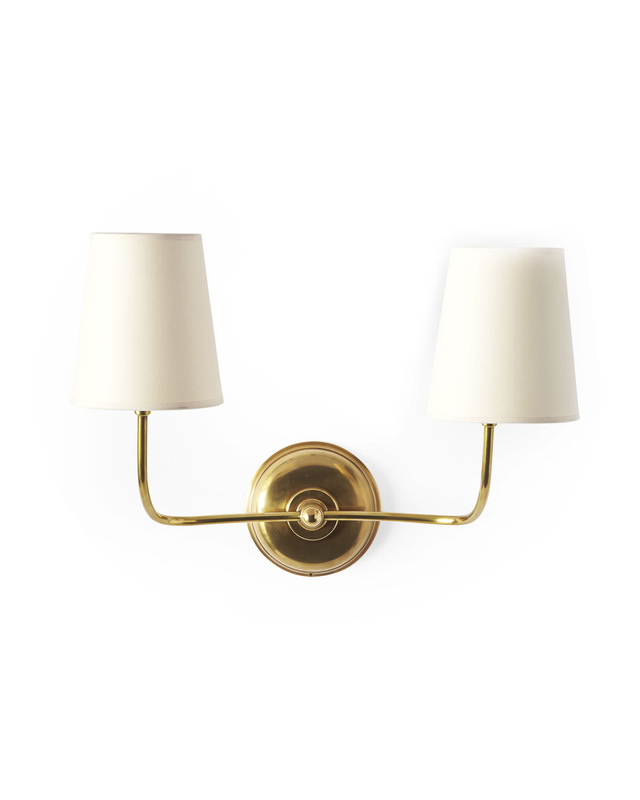 Everett Two-Arm Sconce - Antiqued BrassEverett Two-Arm Sconce - Antiqued Brass, alt="Everett Two-Arm Sconce - Antiqued Brass, "
Print We love the casual elegance of this sconce. 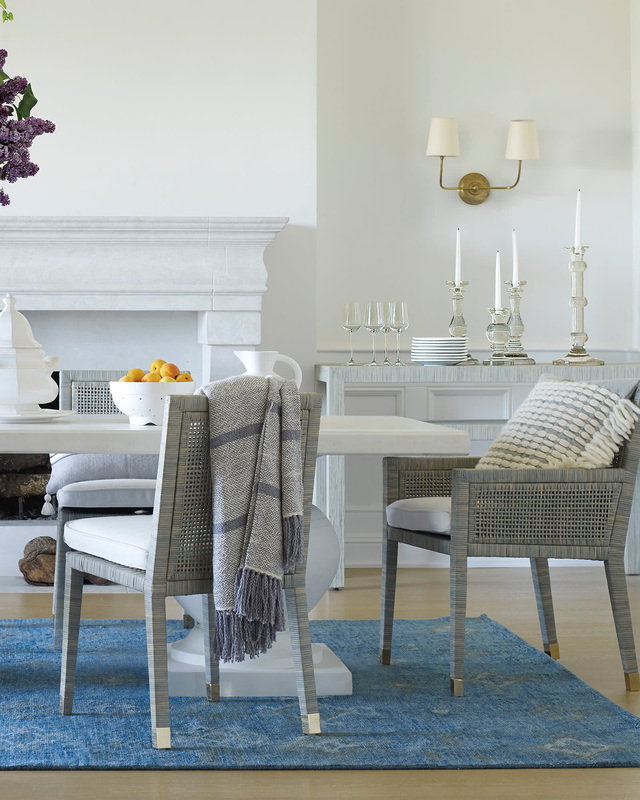 At home in any space, it features two slim arms that curve gracefully upward, each topped with a simple ivory shade that softens the light. 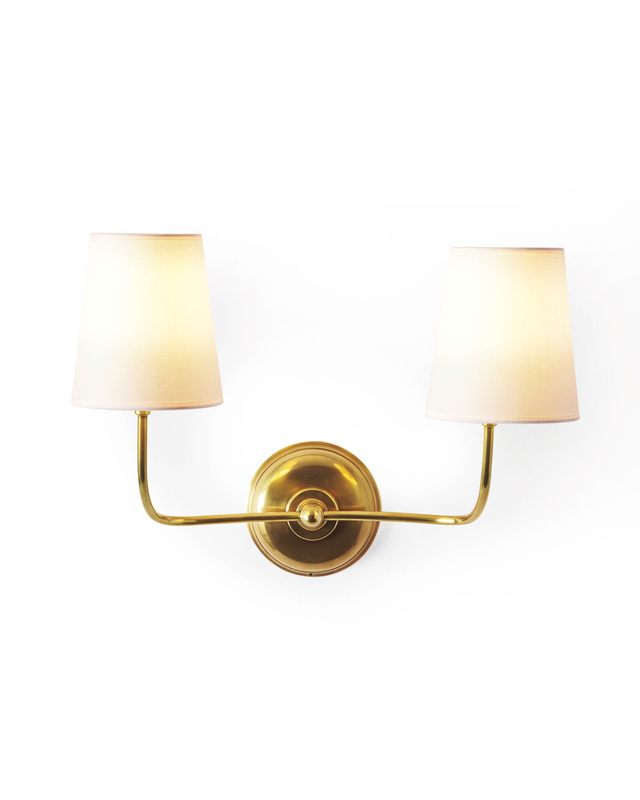 Hand-rubbed antique brass finish or hand-polished nickel finish. Uses two 60W max bulbs. Arms extend 11" from wall.